Walter Mossberg and Kara Swisher interview Steve Jobs and Bill Gates. Bill: "I'd give a lot for Steve's taste." 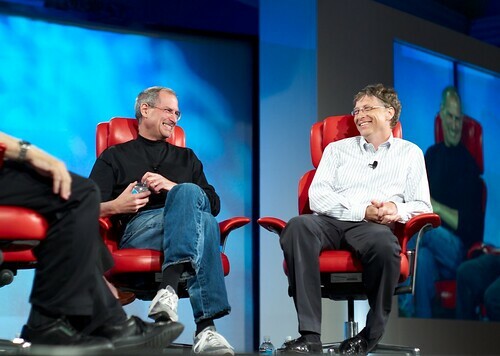 Steve: "Bill was much better at partnering than Steve Wozniak and I were." We've kept secret that: Steve: "We've been married for 10 years." Bill: "I'm not the Fake Steve." Quotes from memory. Exact text may be wrong.